Nicky Maylor and his team returned to cover the 2017 Special Olympic National Games in Wellington. From 27th November until 3 December 2017 more than 2000 athlete’s and their supporters arrived in the Wellington region for the National Summer Games. Special Olympics New Zealand is first and foremost a sports organisation for people with an intellectual disability with athletes ranging from 8 to 80. Offering far more than physical benefits it’s about fun, friendship, team spirit. Nicky Maylor is a news reporter devised by Nick Smith who made his first appearance during Wake Up Tomorrow (Best Actor 2015 NZ Fringe Festival). Nick has long been an avid sports fan, making regular appearances on the Back Benches. 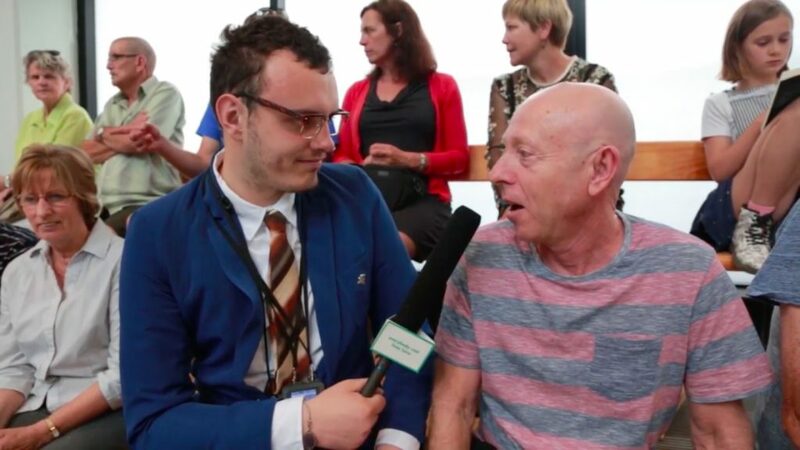 Nick’s love for commentating and interviewing individuals has led him to become involved with Wellington Access Radio featuring regularly on this programme. Starring Nick Smith, Stevie Hancox-Monk, George Fenn, Barnaby Olson, and individuals involved with the 2017 Special Olympics National Games.